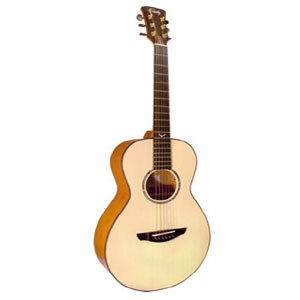 A Faith Guitars® Natural model will be one of the purest guitars you will ever play.Sensitive and soulful instruments, the Natural series use a Solid Engelmann Spruce top with a protective lacquer that doesn’t restrict the sound. The back and sides retain a simpler, satin finish which lets the Solid Mahogany resonate freely, creating a natural, warm and pure tone. All Faith Natural Series guitars are bound with Solid Rosewood and feature Macassan Ebony fingerboards, headplates, heelplates, bridges and bridge pins.